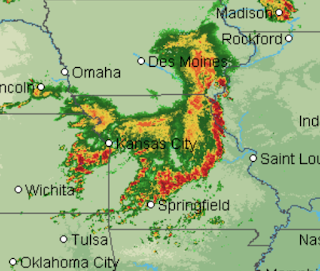 Missouri and is expected to continue moving southeast until finally weakening in the vicinity of Nashville. 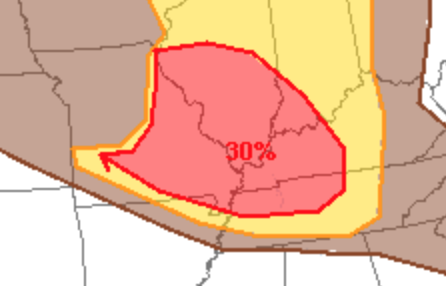 Above is the Storm Prediction Center's probability of damaging wind chart. Below is the map of wind damage (blue) and tornado (red) reports from this damaging weather system. Please take appropriate precautions if you are in the path of this weather system.